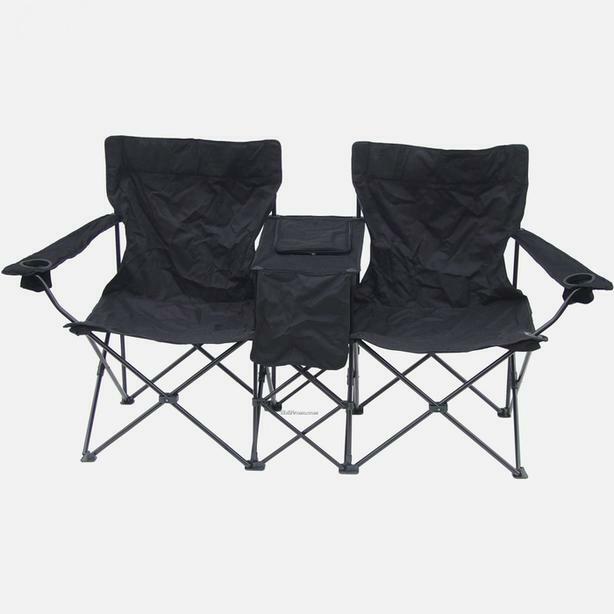 Good Condition Black double folding camping chair. I believe it's the exact one shown. I'm Just grabbing it from storage, so I'm not 100% sure but I believe there's a little table in the middle and cup holders on each side.